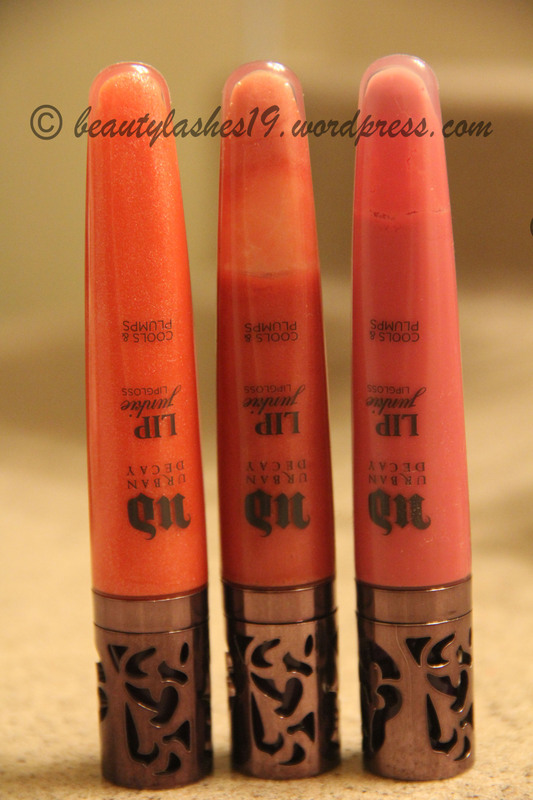 Urban Decay lip junkie lipglosses – Haul & review! 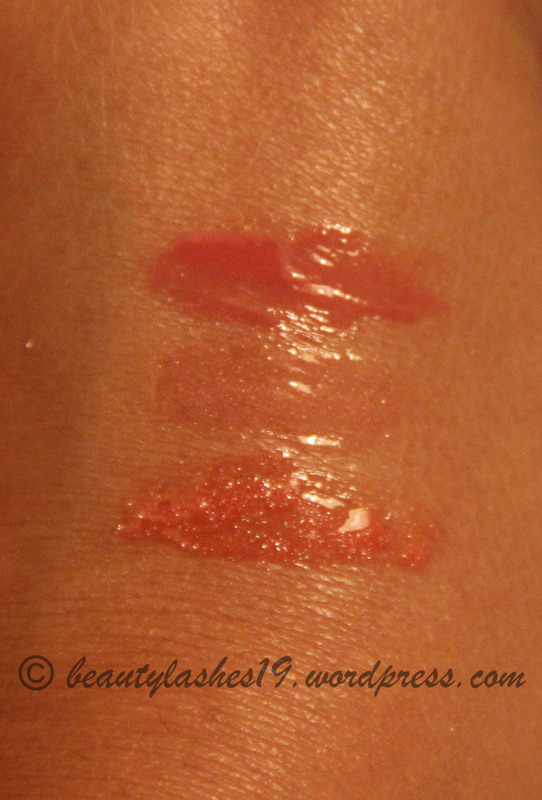 Here are the lipglosses and their swatches..
Runaway is a bright orange / coral gloss with gold shimmer..
Naked is a pale pink-beige with very tiny shimmer.. 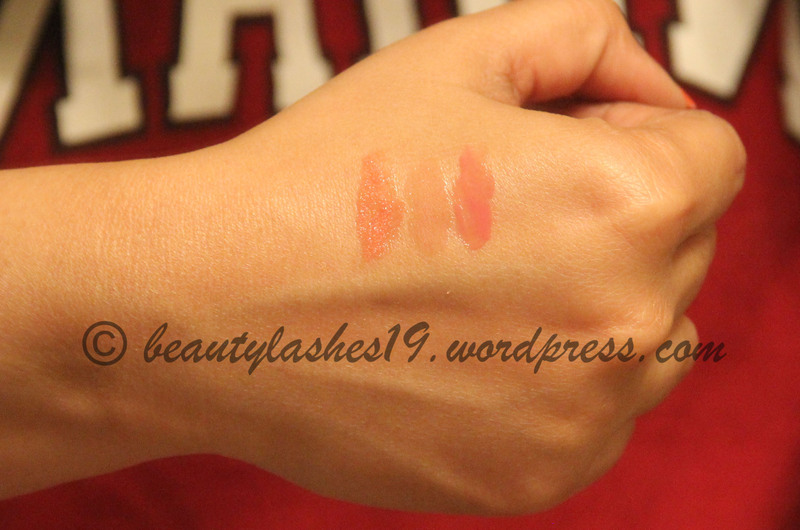 The color looks much darker in the packaging..
Flushed is a beautiful rosy pink color with no shimmer..
All in all, I would recommend these lipglosses especially when they are on sale!